Born on December 4, 2016, "Mandolin Heaven" contains fourteen original acoustic, instrumental tunes by Phil Lawrence, and one standard. The musical style has elements of Gypsy and Latin jazz. Phil Lawrence's main influences have been mandolinist David Grisman and the legendary guitarist Django Reinhardt. 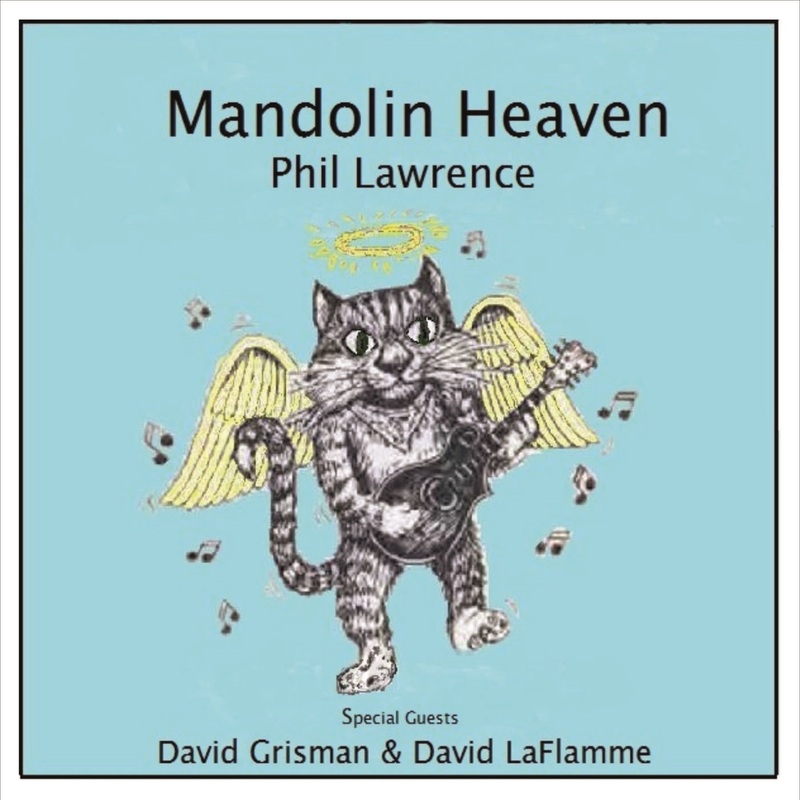 The CD is titled "Mandolin Heaven" because Phil is in the company of so many great musicians, including Grisman and violinist David LaFlamme of It's A Beautiful Day, the Sixties San Francisco band famous for the songs "White Bird", "Hot Summer Day", and "Girl With No Eyes." Special thanks to all the musicians named above. They volunteered their time and skill. It has been an honor to work with them and I feel blessed by their willingness to participate in this project. I should say I am especially grateful to David Grisman, who performed on two tunes unsolicited and without my knowledge even. Imagine my surprise when I received a phone call from Jeff Martin at Studio E informing me that "The Dawg" had overdubbed parts to my compositions. To the great David LaFlamme, who has been an inspiration to me and a kind and generous friend, thank you for all the music and the exquisite violin playing. Thank you to Ken Edwards, who started me on the path to professional quality recording in the home studio. Gratitude to Laura Lind, who made sure that I inherited a microphone from Searle Whitney, to whom I also am indebted. The memory and kind spirit of Searle is what originally motivated me to complete this project in my home studio. His microphone, an AK 4033A, was used as a second source, along with a C1000S, to record my Gibson mandolin and my Gitane guitar, as well as all the other players' tracks. I really needed a second good mike to get started, and Searle, through Laura, enabled this whole process. I thank Bob Gorman and my sister, who contributed to the project in their own way. Without my wife's patience, love, and understanding, none of this would be possible.